The Group Practice Exchange is here as a helpful platform for clinicians like you, who are interested in running their own successful group practice. Throughout these pages, you’ll find helpful tools, resources, articles, and consulting services that will guide you in your journey toward success. Whether you are thinking about transitioning your private practice into a group, or you’re already an established group practice looking to refine the tools and processes you have, TGPE the perfect one stop shop for you. 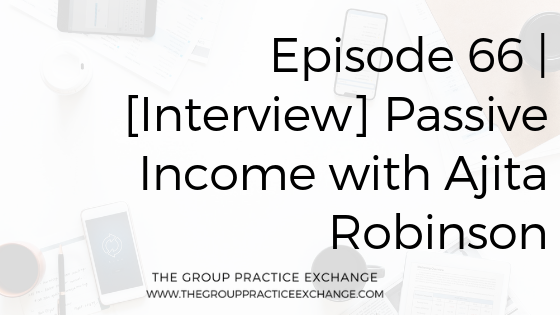 Whether you’re building up to taking the plunge to hire your first associate, or just looking for support as you tighten up your practice, The Group Practice Exchange is here to help. Our philosophy here at TGPE is that no group practice owner should ever have to go it alone. From business planning to maintaining your group, I’m here to help you feel confident and supported while providing you with the best resources available to you to successfully grow your business. Are you a new or an existing group practice? Sign up for our emails to help you level up your group practice. New group practice owner? Sign up for my free e-course Here. Hey! Starting a group practice? If you are thinking about starting or just beginning to start your group practice, you know how overwhelming it can be. You may have successfully navigated through starting and growing your solo practice, and are ready to take the next step in growing your practice. If this is the case, then this group practice startup mini course is for you! 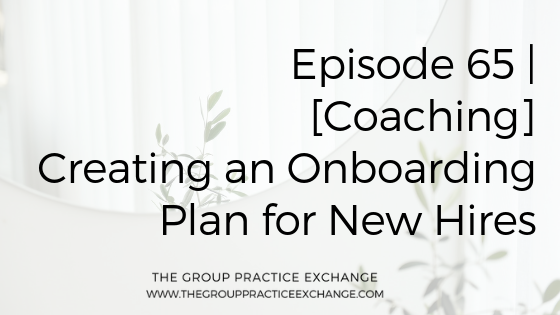 Learn the ins and outs of starting a group practice, what’s important to consider, and steps to take as you embark on your journey to hiring your first clinicians. Most of us don’t take business courses in college, so many practice owners that think about starting a group practice are unsure of how to do it. Here is where The Group Practice Exchange comes in. Let us help you navigate this process. Sign up for the 8 part intro course to help you start and grow your group practice. 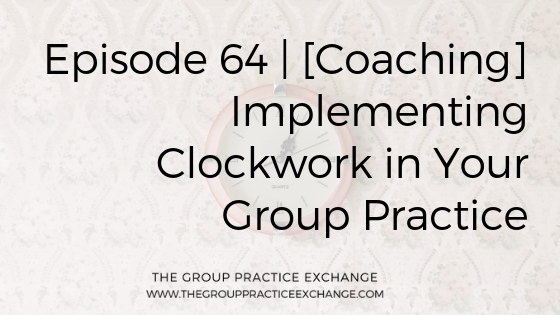 In each part, you will get a TON of information on various topics related to group practice ownership. Be prepared to be loaded with checklists and action items. From the first step onward, feel prepared and aware of what you need to do to start a successful group practice. This 7-day challenge is to help you LEVEL UP your group practice-no matter what stage it’s in. I’m a sucker for shaking my business up a tiny bit every once in a while. It keeps me alert, motivated, and not bored. Whether you’ve completely flatlined in your business, become unmotivated, or you’ve just been sitting in what’s working in your business without making changes or challenging the status quo of your group practice, these next 7 days will help you get out of that. Let’s get excited, motivated, and shake things up. Click on the image above to sign up! Be a part of the growing community of group practice owners in our Facebook group. Join over 2,500 other group practice owners around the world who are starting and growing their practices. This collaborative group is a great resource for group owners! Want to see more articles on group practice ownership? Check out our library of articles Here. I am cautious about paying for outside consultation. However, after seeing Maureen’s generosity and wisdom on her Group Practice Exchange Group Facebook group, I took a leap and reached out to her in a moment of feeling overwhelmed by my hiring process. Maureen was able to review all of my documents and quickly provide succinct, accurate, and helpful feedback based on my goals and values. In less than one-hour, Maureen steered me in the right direction. She identified areas of concern I could not see on my own, using deft judgment and an exploratory style. I felt heard, understood, and valued. I highly recommend Maureen for anyone who needs a second set of eyes on any part of their process, and will continue to consult with her whenever I feel stuck. Thank you, Maureen! Maureen has been very motivational and encouraging in helping me take the next step. Her guidance has given me the confidence to help my business grow. Maureen is a miracle-worker, at first I felt so insecure about starting my own practice, but she held my hand and told me step by step how to do it and it seemed easy after that. Not only gave me the confidence and tools I needed, she gave me a vision for growing as a practitioner, business owner and person. She is warm, extremely knowledgable and really fast to respond to any questions little or big. She genuinely wants other therapists to thrive. I started working with Maureen for assistance in transitioning my current group practice to employees. She offered a great advice and suggestions and was extremely knowledgeable about the process. Her additional services such as the paperwork packet was extremely helpful and helped to put me in the right direction. I started working with Maureen one month before opening my own private practice. She offered helpful suggestions and meaningful resources. I loved having a personalized session to get my individual questions answered. She is a wealth of knowledge! Maureen was extremely helpful in answering my many questions related to starting a group practice. Her confidence and kindness really inspired me and reassured me that this next step of my private practice journey was possible. What was particularly helpful was her help regarding credentialing new hires in a group practice as well as how to ask for reimbursement rate increases. I also appreciated her guidance on the interview process with new hires as well as how she keeps her staff happy and motivated. I would highly recommend Maureen’s services to anyone at any stage of the group practice journey.